Nodes which have complete file is known as Seeds and nodes which have some part of file and still downloading are peers. 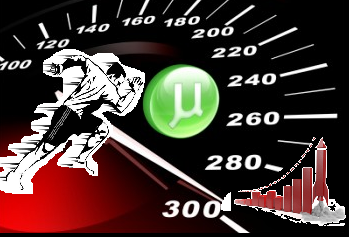 Increasing Torrent speed is fully depends on how much Seed And Peer your torrent file have.If your torrent file have very low seed and peer than its very hard to get a good downloading speed.So its good to have more Seed And Peer. If your torrent have a zero seeds than your downloading will never get complete. How can we Increase seed and peer for our downloaded torrent?? One solution may be download a torrent with good Seed And Peer.check the detail of torrent file and check for its live Seed And Peer.If torrent did not get a good Seed And Peer than search for another good torrent file. 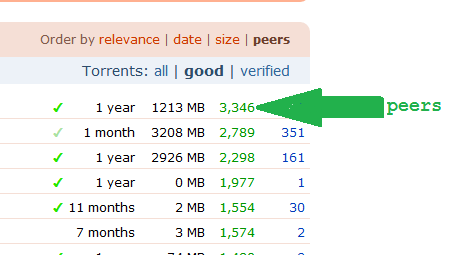 Torrentz is a best site for searching torrents.So whenever you search for torrent there don't forgot to check number of peers as well which is mentioned there. But what if you have already a torrent file which don't have "Seed And Peer" and you cant find any alternative for that?? Solution is you can reannounce the torrent file.Just go to this link and reannounce the torrent. You can follow instructions at this link. In this way by following above link you can easily increase your Seed And Peer of your torrent file.With for number of Seed And Peer your torrent will give you more downloading speed.So its better to have as much as you can have Seed And Peer. Wonderful job. thanks for sharing. Wonderful job. Hi, i believe that i saw you visited my blog so i got here to go back the choose? .I'm attempting to find things to enhance my web site!I guess its good enough to make use of some of your concepts!! I'm sending it to several pals ans also sharing in delicious. And certainly, thanks in your effort! scheme in our community. Your web site provided us with helpful info to work on. Nice answers in return of this difficulty with genuine arguments and describing everything about that.